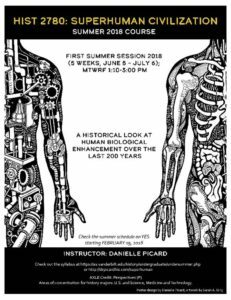 A historical look at human biological enhancement over the last 200 years. This course is designed for undergraduates from across the university. 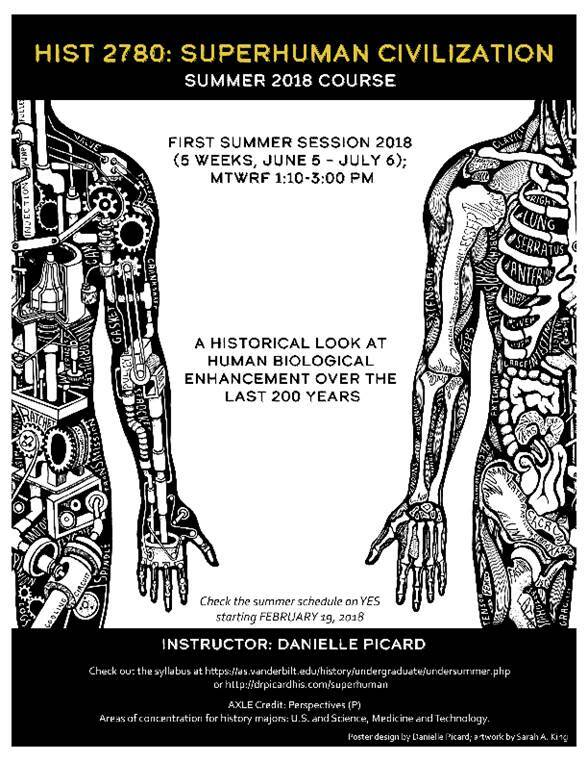 While we will take primarily a historical approach to the topic of human biological enhancement, we will engage with readings and questions from a variety of academic disciplines, including science, medicine, computer science, philosophy, film studies, and literature. The course meets daily for approximately 5 weeks. Interested in the course? Have questions or suggestions on readings or topics? Leave a comment below or send me an email.